The World of Puzzly Furniture! 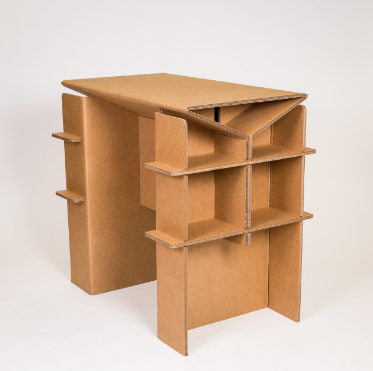 It’s fair to say that the flat-pack furniture model made famous by IKEA, that marvelous house of Swedish innovation, has turned practically every one of their customers into impromptu puzzle solvers. 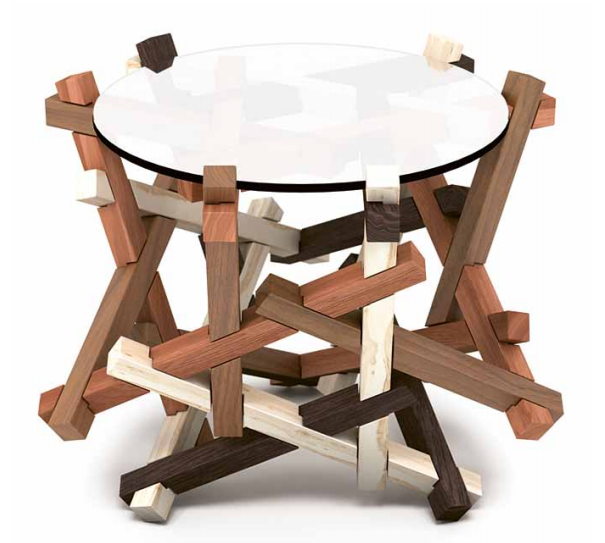 But did you know that there’s a whole world of puzzle furniture out there for you to explore and assemble? Some of it is inspired by puzzles, while other pieces are puzzles themselves! 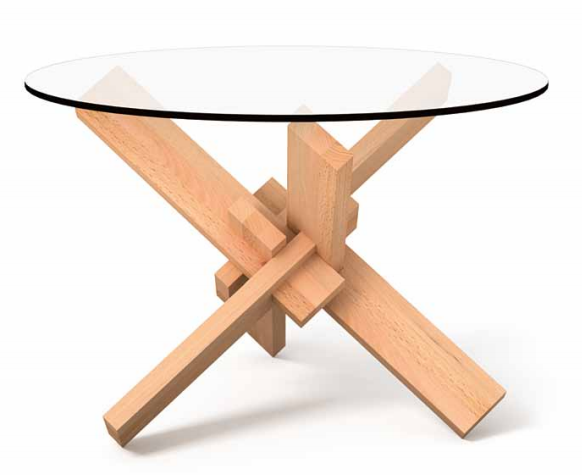 In today’s post, I thought I’d take my fellow puzzlers and PuzzleNationers on a brief tour of the world of puzzly furniture. 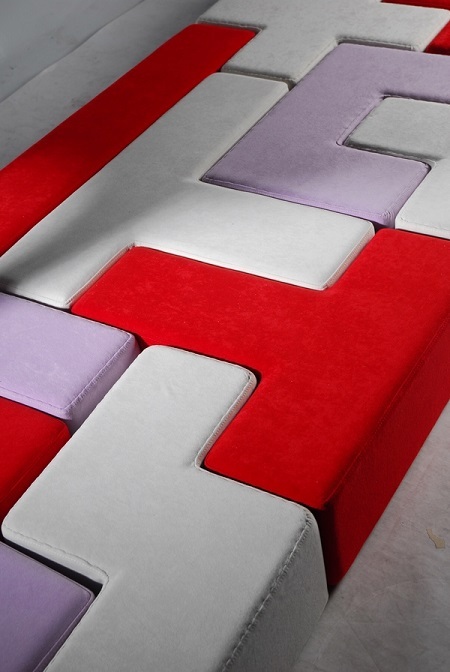 Most puzzle-inspired furniture is designed around the idea of personalization and variation. You often have several pieces to work with, allowing you to construct different pieces of furniture based on your needs or aesthetics. For instance, the piece pictured above is called “To Gather,” and it can be assembled into a sofa or converted into separate seats. Offered by Studio Lawrence, To Gather is pretty eye-catching, though it might be a little blocky for some tastes. 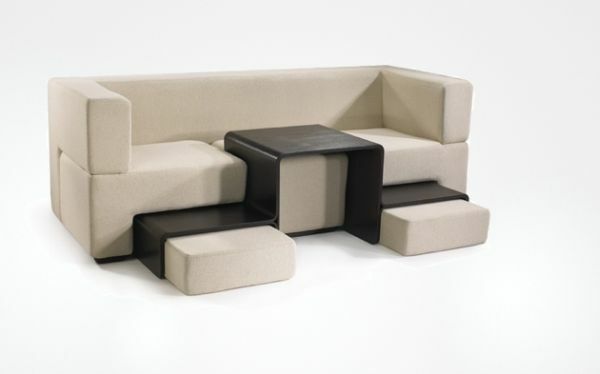 For something a bit more traditional, there’s the Slot Sofa by Matthew Pauk. 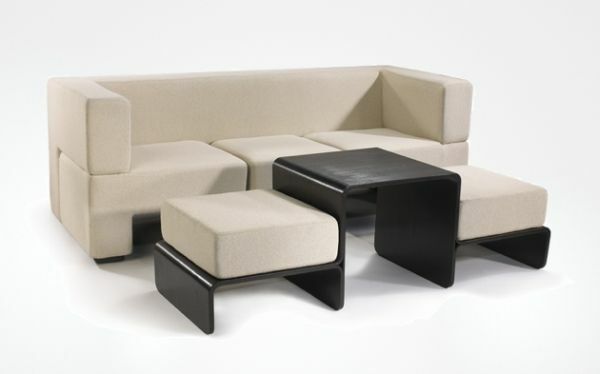 This piece combines a sofa, coffee table, and ottoman, but can be combined so that the coffee table rests between the two corner seats and the ottoman cushions tuck away underneath the sofa. It’s a super-clever space saver and probably one of my favorite puzzly pieces that I’ve ever seen. 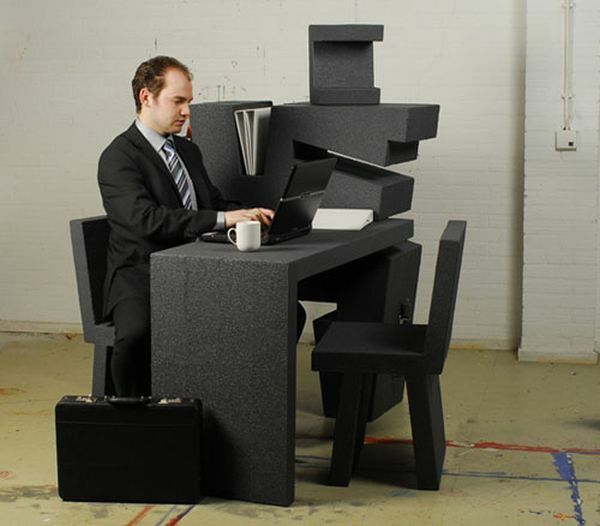 Being able to tuck away multiple pieces of furniture in one is also the goal for this mobile office piece, which contains two chairs, a desk, and more within its foam-core modular form. 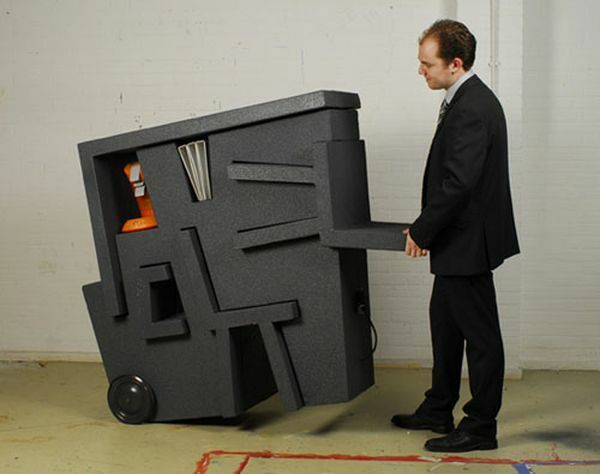 Although it’s not the most aesthetically pleasing design, it’s lightweight, easy to move around, and doesn’t take up a lot of space when recombined. I could see some start-ups making use of this sort of thing, both to catch the eye and to save on space and materials. 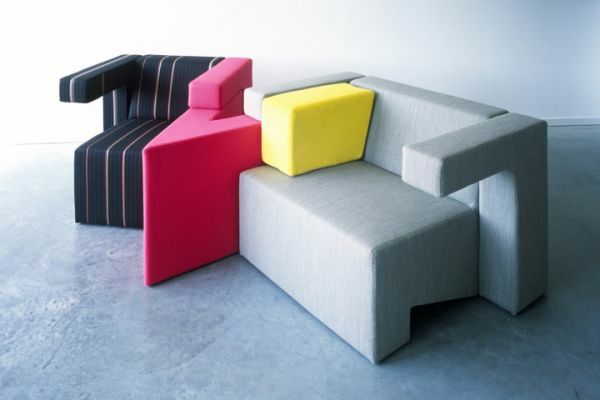 A lot of puzzly furniture is based around Tetris-style pieces (or Tetrominoes) that can be moved around and placed in various configurations. The TAT-tris piece is one of the most adaptable, forming a solid cushion mat at the start, and then allowing for infinite variation when it comes to assembling tables, chairs, and more. 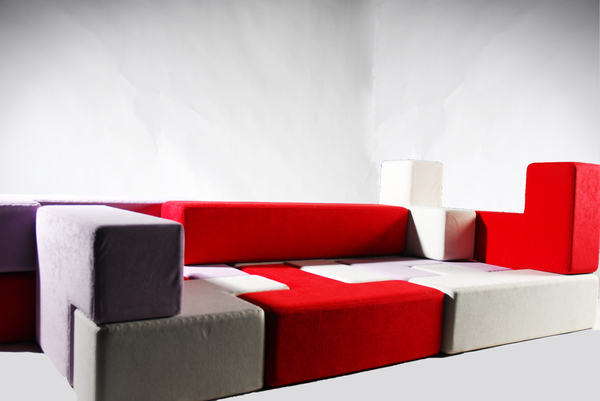 Intended for teens and children to use as a puzzly exercise, TAT-tris looks both comfy and like it would be a huge amount of fun to play with. 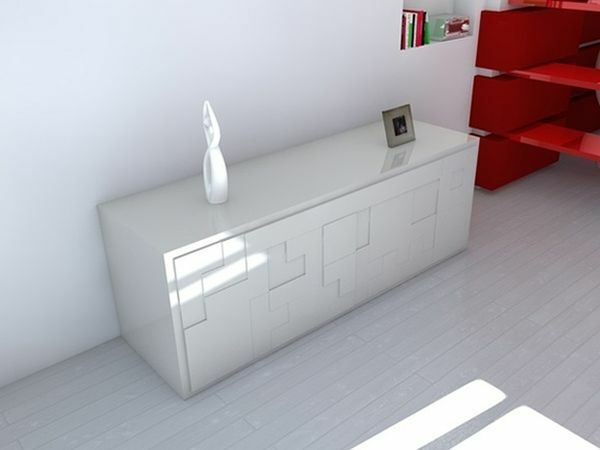 Tetris also inspired this sideboard designed by Pedro Machado. “T@tris” is a beautifully lacquered piece that consists of 26 tetronomoes slotted together. 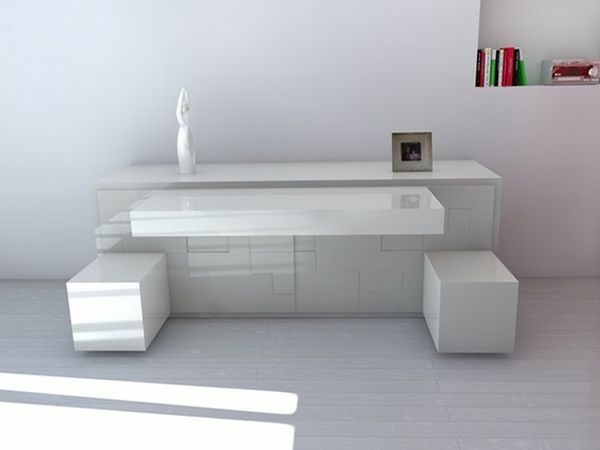 One configuration allows for two benches and a slide-out table, while other pieces form drawers, allowing for all sorts of storage in a fairly compact area. 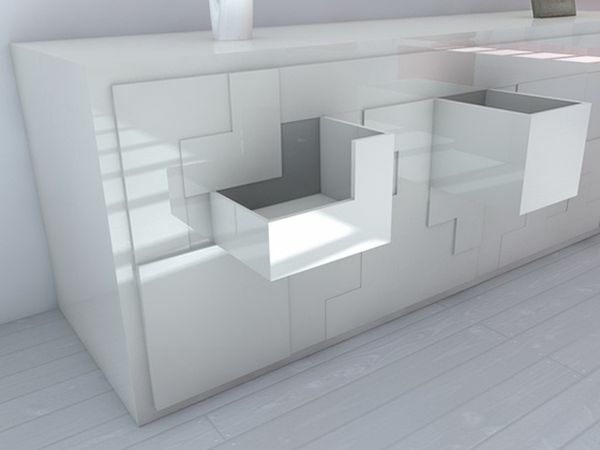 Very modern and a little bit glam, this piece makes excellent use of space and isn’t as visually distracting as many other pieces of puzzly furniture. Speaking of visually distracting, this furniture set by Schamburg + Alvisse arrives assembled in a star shape, but can be disassembled into all sorts of forms. Chairs, sofa, bed, or table are all possible with this Star sculpture. It’s certainly unique, but not as space-efficient as some of the other pieces we’ve looked at today. 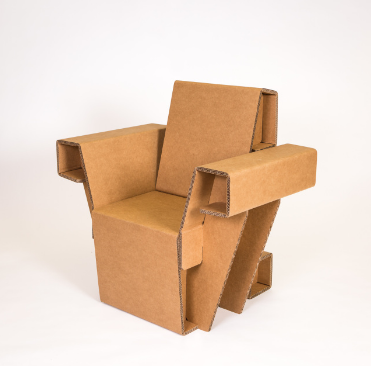 In terms of space efficiency, it’s hard to beat furniture that arrives as flat cardboard. 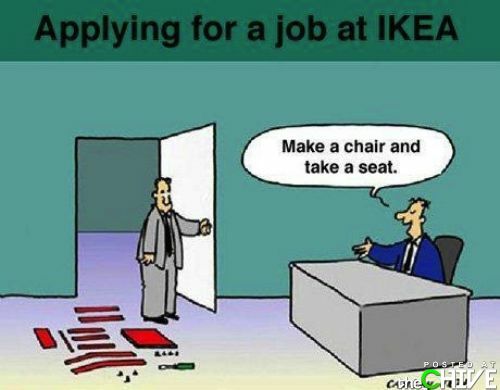 But that’s the entire business model behind Chairigami, makers of desks, tables, chairs, and sofas, all from heavy-duty cardboard. 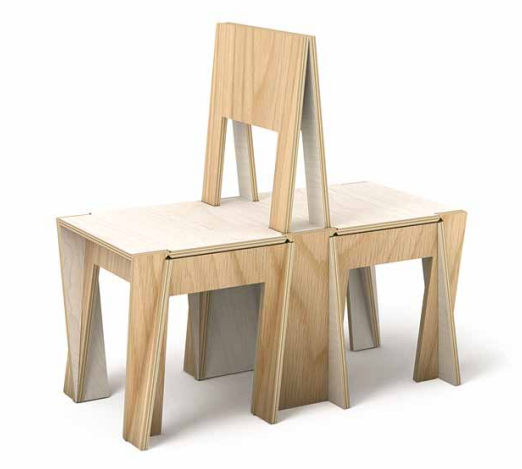 I doubt these pieces would challenge any puzzle solver for long, but simply relying on origami to design functional furniture is a really cool and clever puzzly concept. The armchair especially is very striking. But when you’re talking puzzle furniture, the uncrowned kings of the field are undoubtedly the team at Praktrik: Puzzle furniture is the only kind of furniture they sell! 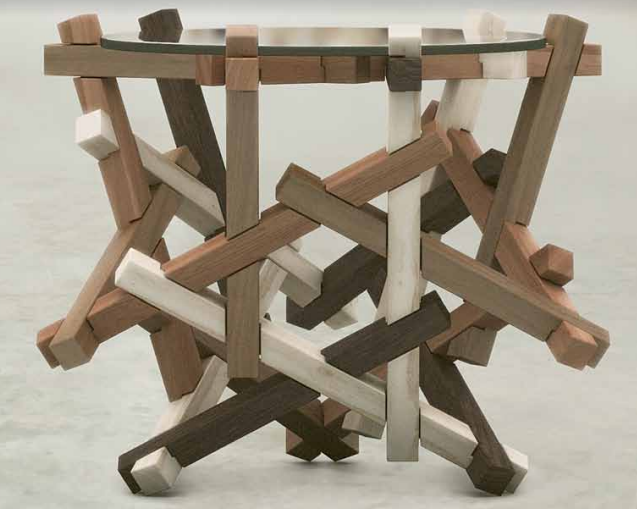 Purveyors of beautiful chairs, shelves, tables, and more, Praktrik offers a truly unique puzzling experience, offering you the disassembled piece and challenging you to complete it. In fact, they’re proud to celebrate and spread the word when customers end up creating unexpected masterpieces from Praktrik sets! The chairs and shelves don’t seem too daunting, but the tables have a wide arrange of difficulties, and their increasingly elaborate arrangements of wooden supports and pieces evoke memories of classic brain teasers and puzzle boxes. 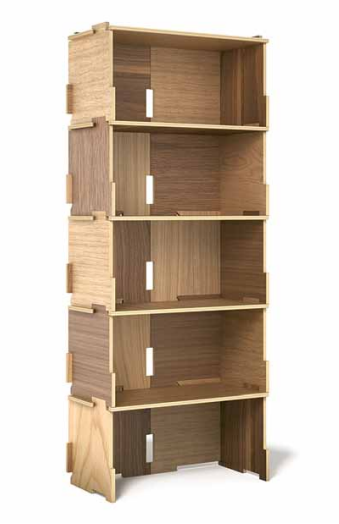 You can peruse their website to explore the full range of Praktrik puzzle furniture; it’s both extensive and very impressive! In fact, it was crossing paths with them that inspired this entire blog post. So if you’re looking to add a little puzzly pizazz to your living room, maybe a piece of puzzle furniture is the way to go. What do you think, fellow puzzlers? Do any of these pieces pique your interest? Let us know in the comments section below!